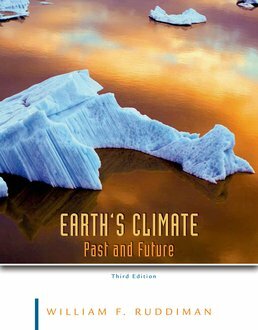 Sharing recent findings on anthropogenic global warming and important advances in understanding past climates, Earth's Climate offers a clear, engaging, objective portrait of the current state of climate science. The text looks closely at the evidence, acknowledging that proof is stronger than ever that human activity is the primary cause for global climate change. William F. Ruddiman was initially trained as a marine geologist. 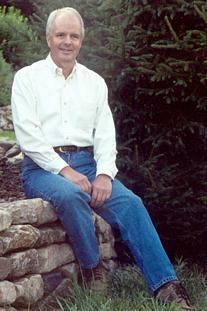 His subsequent work over many years has explored several different aspects of the field of paleoclimate. His earliest research was on orbital-scale changes in North Atlantic sediments to reconstruct past sea-surface temperatures and to quantify the deposition of ice-rafted debris. He also studied the way that vertical mixing by sea-floor organisms smoothes deep-sea climatic records. Later, his interests turned to the cause of long-term cooling over the last 50 million years. This research led to a new hypothesis that uplift of the Tibetan Plateau has been a major driver of that cooling, with Maureen Raymo's work on chemical weathering a central part of that hypothesis. That research also demonstrated that Tibetan uplift created much of the seasonally alternating monsoon climate that dominates eastern Asia today. Since entering 'semi-retirement' in 2001, Ruddiman's research has concentrated on the climatic role farmers played during the last several thousand years by clearing land, raising livestock, and irrigating rice padis. This research produced the 'early anthropogenic hypothesis' --- the idea that early agriculturalists caused an anomalous reversal in natural declines of atmospheric CO2 7000 years ago and CH4 5000 years ago. His research on this issue has been NSF-funded for several years. Because this hypothesis has been very controversial, it has provoked many studies seeking ways to test it.